We have given the Vintage Series a face lift! A new, fresh, anodized pedal designed for a smaller pedal board footprint, with all the same great tones. Here are the first in the series: Remember the great tremolo tones of the 50’s and 60’s? The ‘Surf Trem’ gets its’ trem circuit from the CM Tremovibe. With just a ‘speed’ and ‘depth’ control (just like our old tube amp) those classic tones are easy to achieve. 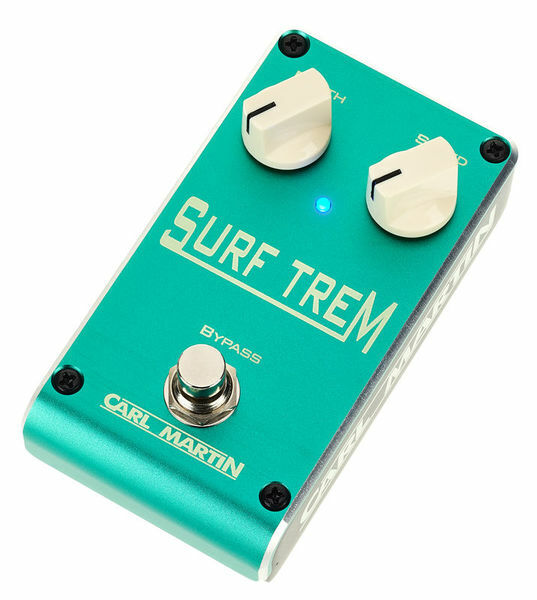 The retro heavy diecast case, cool colour and heavy duty bypass switch, make the ‘Surf Trem’ a must have in every pedal box.